Yet another fine collaboration between Cheo and Soker – these two seem to be on something of a roll at the moment, producing countless pieces all over the city of Bristol. This one perfectly fills the space on the hoardings in front of a new development. The piece is bookended by a pair of mischievous spray can characters painted by Cheo, and in the middle of all of this is a dazzling piece of writing by Soker which spells out SUMOE. I guess I should know what sumoe is all about, but alas I have no idea. 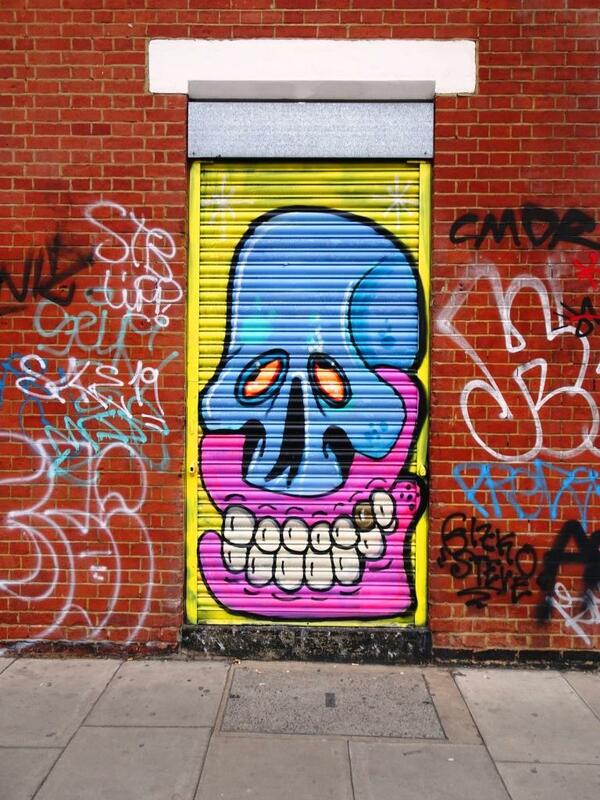 There is a whole bunch of #sumoe graffiti Instagram, most of it in the USA. Cheo has pretty much nailed it with his bookends as he seems to with pretty much everything he does. With their dark furry eyebrows, there is something of the Muppets in his characters. Of course we are also graced with the presence of one of his signature bees. Soker’s writing is composed primarily of four horizontal layers ranging from light blue at the top through to light purple at the bottom, each layer smattered with accents or decoration. He has also worked quite an unusual double 3D shadow cast by the letters. This is a great collaboration from this ASK duo, and well worth the trip to Raleigh Road.